Thanks for the feedback.. I am looking for the added rigidity that the carbon fiber arms afford. 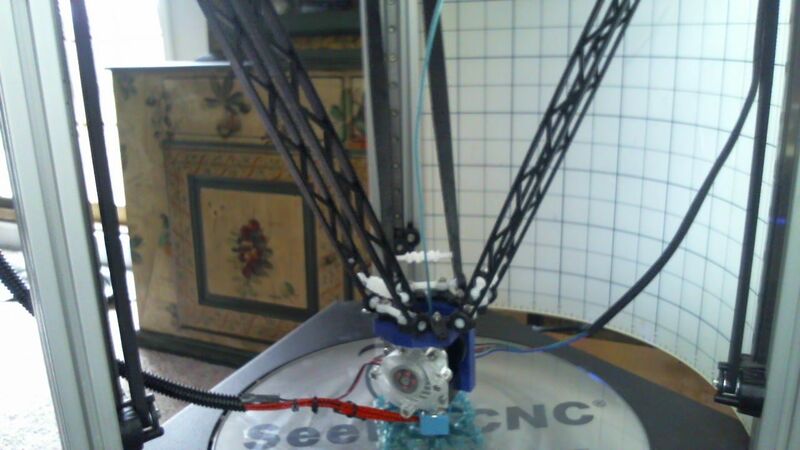 Just wondering if the carbon fiber arms are in the works @ seemecnc? Dave... your work on/with/building/supporting/designing the duet blows me away. My Duet powered Rostock Max V2 is morphing into the "rat rod" of 3D printers. Wow, can it print. The printer is quiet as well, my family thanks you! Topic: SLA experienced and PLA ignorant! Hello All! Re: SLA experienced and PLA ignorant! Hello All! Topic: Enable strain gauge Z probe? Re: Enable strain gauge Z probe? This ebook has some great diagrams on how to measure for a Delta Printer. Here is an idea for a partial enclosure; not to keep heat in; but to stop cold air from rolling into the printer from the adjacent window. A piece of Lexan would work too... but this is much cheaper.